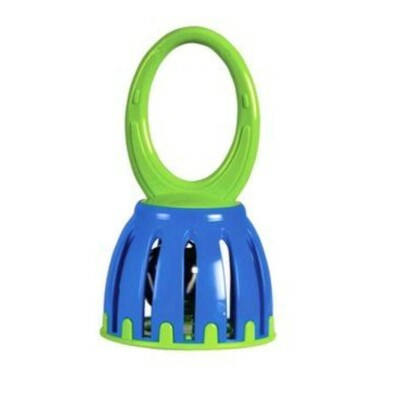 Halilit Bendy Bells (color may vary: Orange..
Halilit Cage Bell is a safe bell for small hands; the unique design has special safety features for toddler use. A fixed 1-1/4" diameter jingle bell, inside a colorful plastic cage with plastic handle, produces excellent bright sounds. Available in assorted orange, pink and blue colors that cannot be chosen. Note that each item contains one bell in assorted color.